I took this photo while crossing the road. The composition was initially a bit weird and the and I didn’t know what to do with it for a while. But cropped close you can see every beautiful detail of the spire of this iconic gothic Melbourne building. 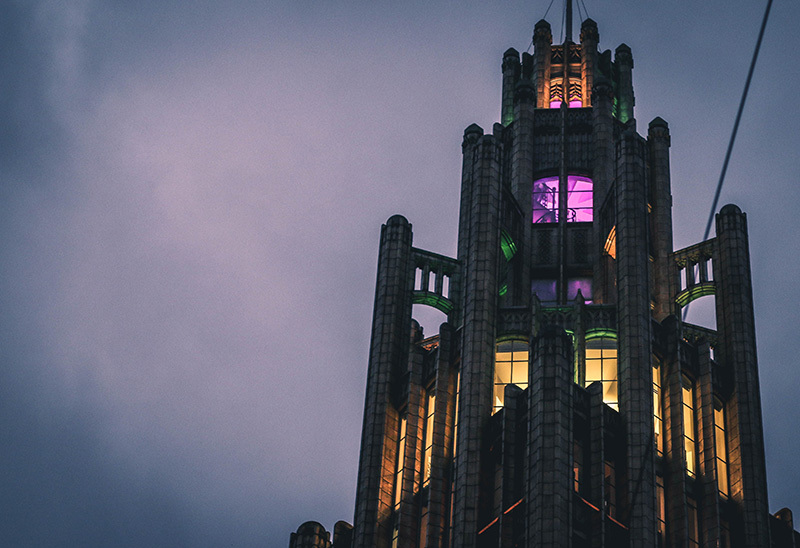 Inspired by the Chicago Tribune Building, architect Marcus Barlow conceived of Melbourne’s own gothic beauty, the Mannchester Unity Building, in the early 1930s. At the time it was not only a marvel not just because of its aesthetic, but also in terms of its engineering. It remains one of our city’s most beautiful architectural icons to this day. Read about building’s history here.